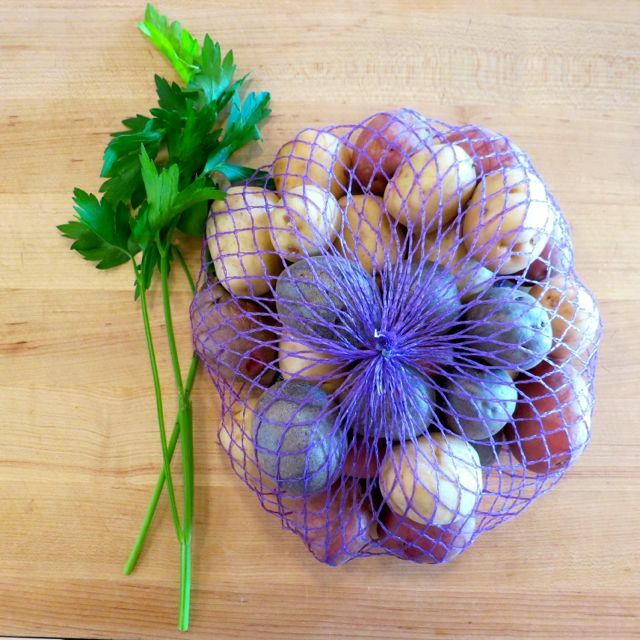 I love buying the tricolor baby potatoes not only because look great, but, also because each color tastes a bit different from the other. So, it keeps things interesting throughout dinner! 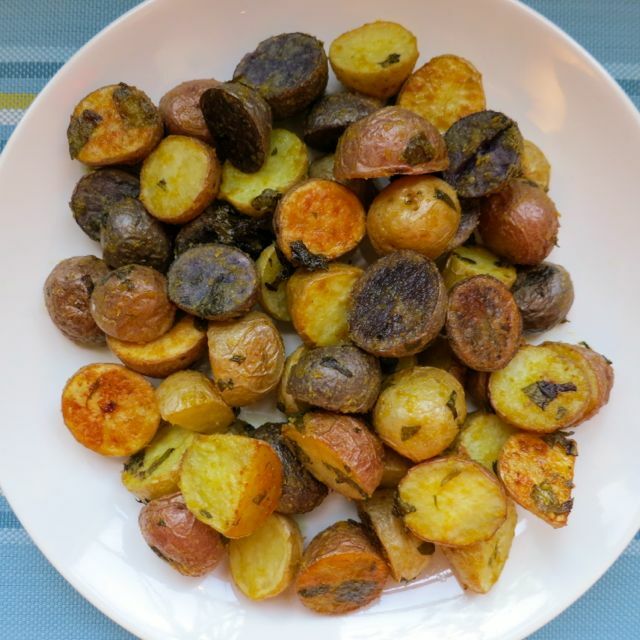 For this side dish, I roasted the tricolor potatoes with sorrel. 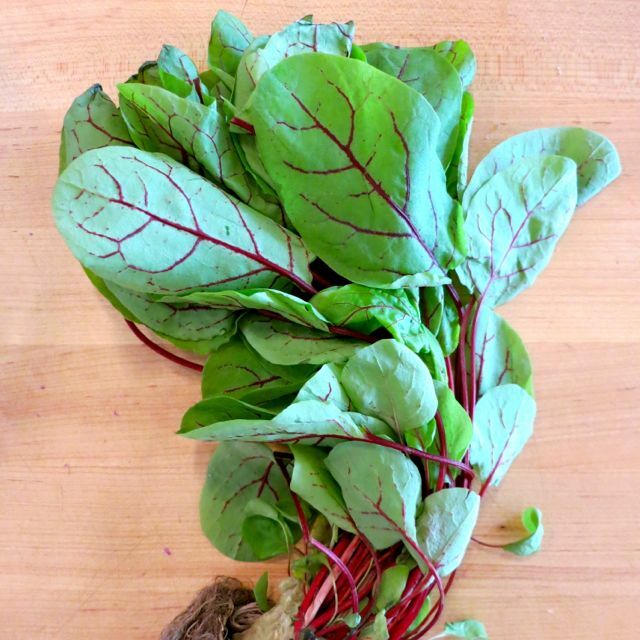 The picture under "ingredients" shows parsley because I was going to use parsley, then realized I needed to use my sorrel (shown below). Either one will work, but you'll end up with completely different tastes depending upon which one you use. 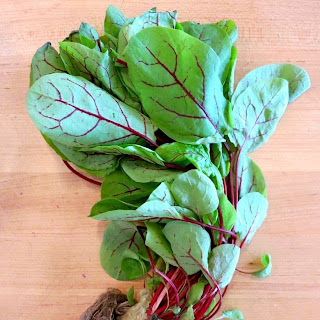 Sorrel has a bright, tart flavor to it that is very distinctive and it goes nicely with potatoes. I also used nutritional yeast to add a nutty, cheesy taste and another layer of flavor. In this dish, I used Bill Sanders' First Fresh extra virgin olive oil. The olive oil you use in this dish matters because it is one of only a few flavors included in this recipe. In DC, you can find this olive oil at Calvert Woodley, Cleveland Park Fine Wines, and Weygandt Wines. Preheat oven to 350-degrees. In a small bowl, whisk together the olive oil, nutritional yeast, and sorrel and season with sea salt. Put the potatoes in a large bowl. Pour the mixture over the potatoes and toss gently to coat. 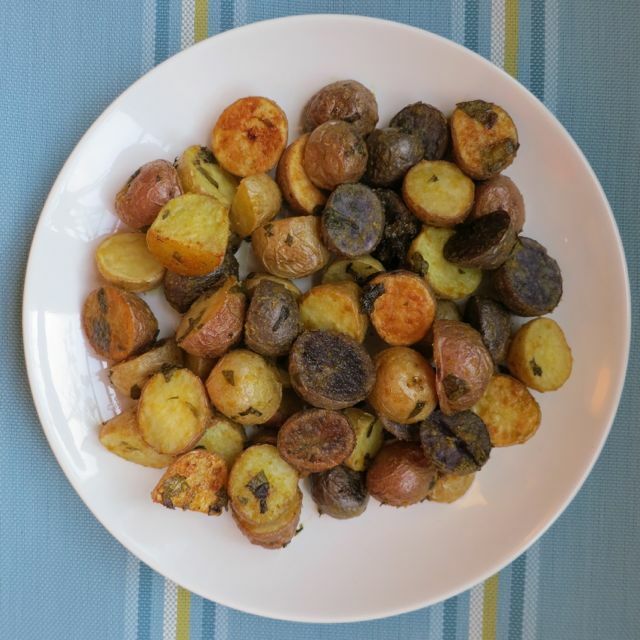 Arrange the potatoes in a single layer on the baking sheet. Roast until tender and lightly browned, about 35 minutes. My name is Angela, I live in Washington, DC, and I am The Veracious Vegan. Veracious (not voracious!) means honest and that is exactly what I intend to be as I offer uncut reviews of vegan cuisine, chocolat, and vino. Please join me as I endeavor to visit the top restaurants in the world. DC VegFest 2013 is Almost Here! mad momos Giveaway #2 Winner!